First of all, I must ask the forgiveness of all my readers. I have a confession to make. I’ve been a little selfish with this book, and that’s why the review has been a bit of a long time coming. Allow me to explain. I received a review copy of “The Fairies Return” last month. The book, which is (in its current edition) published by Princeton University Press, is a collection of retold fairy tales. What sets it apart from most retellings, however, is that these stories were written and collected in 1934 in England. Although we tend to think of fairy tale retellings as a recent phenomenon, this is a false assumption. For as long as the oral tradition of fairy tales has existed, the stories have been changing and growing. It only makes sense that present day writers aren’t the first to twist these stories around and view them through new, often modernized lenses. However, it’s still rare to come upon a collection of older retellings like this one. The uniqueness of the collection will make you want to savor it, just as I did. With slow satisfaction, you will find yourself reading and reflecting upon each tale. This book must be devoured as might a particularly delicious meal, with the care and pace each succulent story deserves. You will feel drawn to inspect each story closely, not only because of the tales’ fanciful nature, but also because of their fascinating historical placement and significance. Although I regret that my slow savoring has delayed your knowledge of this wonderful little find, I am certain that any readers of this text will surely understand. Each story–even a retelling of “Ali Baba and the Forty Thieves”–comes across as unquestionably British. The various writers are talented in their abilities to transform these familiar tales into stories of a very different sort. However, even when the topics are closer to parliament and the stock market than magic, the skeletons of the original fairy tales are easily recognizable. 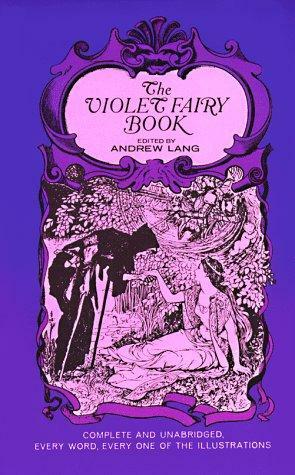 Although the stories themselves are diverse and offer many different tones and topics for closer inspection, perhaps the most interesting part of the collection is its ability to give readers a look at what fairy tale enthusiasts were up to almost 100 years ago. The references and settings offer clear signs of the times in which the tales were retold, making this book a fascinating piece of history as well as a must-have for any fan of fairy tale retellings. If your interest is piqued, then you’re in luck. There’s a giveaway going until Oct. 26, in which entrants are eligible to win a free copy of “The Fairies Return.” Five winners will be selected to receive this one-of-a-kind book. For more information on “The Fairies Return,” check out this description from Princeton University Press. Last April, I started getting into the Canadian TV series “Lost Girl.” Excited by the potential for fairy tales on the show, I wrote a post called “Lost Girl and Fairy Tales,” predicting their appearance in the series. Yesterday, my predictions came true; “Lost Girl” finally aired “Mirror, Mirror,” a fairy tale themed episode! For those unfamiliar with the show, it stars Bo (Anna Silk), a succubus who, having been raised by humans, only recently realized her Fae nature. Now, she works as a sort of supernatural private investigator, helping others in the Fae community. Meanwhile, she is still searching for answers about her own mysterious heritage, navigating the murky waters of Fae politics, and doing her best to have a personal life. Best friends Bo and Kenzi are forced to face Baba Yaga in this week's episode of "Lost Girl." Still hurting from her breakup with Dyson (Kris Holden-Ried), Bo decides to join her human pal, Kenzi (Ksenia Solo), for a drunken girls’ night. Unfortunately, Kenzi invokes Baba Yaga (a witch of Slavic fairy tale fame) while she’s under the influence and asks her to lay a curse on Dyson. Once sober, however, our heroes seek to get the curse reversed. Baba Yaga agrees, but takes Kenzi as payment, leaving it up to Bo and Dyson to get her back. While the episode paid tribute to the Baba Yaga fairy tale stories, some of the details were changed for the show. For instance, the old stories depict the witch’s house as a cottage with chicken legs; in the world of “Lost Girl,” however, Baba Yaga lives in some sort of alternate Fae dimension of her own and only travels by way of mirrors (kind of like a Fae version of the Bloody Mary urban legend.) My guess is that a house on chicken legs probably sounded a little too far-fetched for network television. Although parts of the Baba Yaga story were altered, “Lost Girl” stayed true to the original tales in many ways. Just as in the old stories, the “Lost Girl” version of Baba Yaga is both powerful and scary. She has the ability to grant wishes and offer wisdom, but is also known to kidnap and eat young people. Seeking her counsel is considered extremely dangerous. Not only that, but both versions depict her using human bones as building materials; in the fairy tales, her fence is often made of bones, and the show claimed she built her entire house out of them. All in all, Bo’s first fairy tale encounter was a delight to watch. I can only hope that more such episodes crop up in this and future seasons of “Lost Girl.” In fact, I’m sure they will; the end of the episode suggests that Baba Yaga may have survived the fires of her oven. Who knows when she’ll be back for revenge? Want to learn more about “Lost Girl,” or discuss the latest episode with other fans? Visit the “Lost Girl” subreddit (r/lostgirl). The symbol of the Deathly Hallows comes from a wizarding "fairy tale" that turns out to be true. These hallows help Harry to defeat Voldemort. In this book, Dumbledore bequeaths mysterious objects to Harry, Ron, and Hermione in his will. To Hermione goes a book of wizarding fairy tales, one of which is “The Tale of the Three Brothers.” This so-called children’s story describes three magical objects that can’t possibly exist: an invincible wand, a stone that can raise the dead, and an invisibility cloak that renders its wearer completely invisible and endures eternally no matter what spells are cast at it. Whoever controls all three of these objects would find himself the master of death. Of course, not only does the story turn out to be based in fact, but all of the objects actually exist. With some help from each of them, Harry is able to overcome his greatest foe. Although he could use these objects to master death, his wisdom matches that of the brother who chose the invisibility cloak. Harry recognizes that he was meant to possess these items for a time, but that wielding the Elder Wand or the Resurrection Stone can only bring trouble to his life. In the end, he learns the same lesson the fairy tale was meant to teach. While this is a way for Rowling to flesh out the fantastical world of her books by providing a peek into wizarding society’s cultural knowledge, it is more than that. In Rowling’s books, Ron is the least capable of finding deeper meaning in the fairy tales because he, having grown up in a wizarding family, has heard them all his life. Rowling has already told us that there was deep truth behind one of the stories. What might the others be hiding and, what indeed can still be gleaned from the fairy tales that we read as children? If we refuse to look deeper, as Ron did, we might really miss out. This is especially implied because Rowling also uses more familiar fairy tales in her books as well; Hans Christian Andersen wrote a fairy tale called “The Philosopher’s Stone.” While he did not invent the concept, his mention of it seems relevant in this context. “The Tales of Beedle the Bard” also manages to bring some witty critique to the fairy tale table. Many of today’s fairy tales have been doctored and made less violent for modern children. In her book, Rowling discusses how the best story it contains, “The Warlock’s Hairy Heart,” has been rejected by some wizarding parents for its violent and disturbing nature. She portrays those who wish to alter and censor this story and others like it as utter fools, betraying her own opinions on the subject; children may be heartier than we give them credit for, and if the only stories we read them are about happy puppies and beautiful butterflies, they can never hope to find deeper meaning within them. Since this text is out of print, I’ll summarize. The story starts off a little like “Mulan.” A great emperor takes over a lesser kingdom and offers the king peace on the condition that he send one of his sons in for ten years of service. The king, however, has three daughters and no sons, so he tests the girls to decide who to send. Although all three of the daughters try, only the youngest is enough of a “manly” warrior to pass the king’s test. She goes into the emperor’s service. After proving her worth to the emperor in many ways, he selects her to go on a difficult quest to bring him the woman of his dreams, the beautiful Iliane. After being rescued by the disguised princess, however, Iliane falls in love with her. The princess, who reciprocates these feelings, wishes she was a man. To make a long story a bit shorter, they eventually run away together. 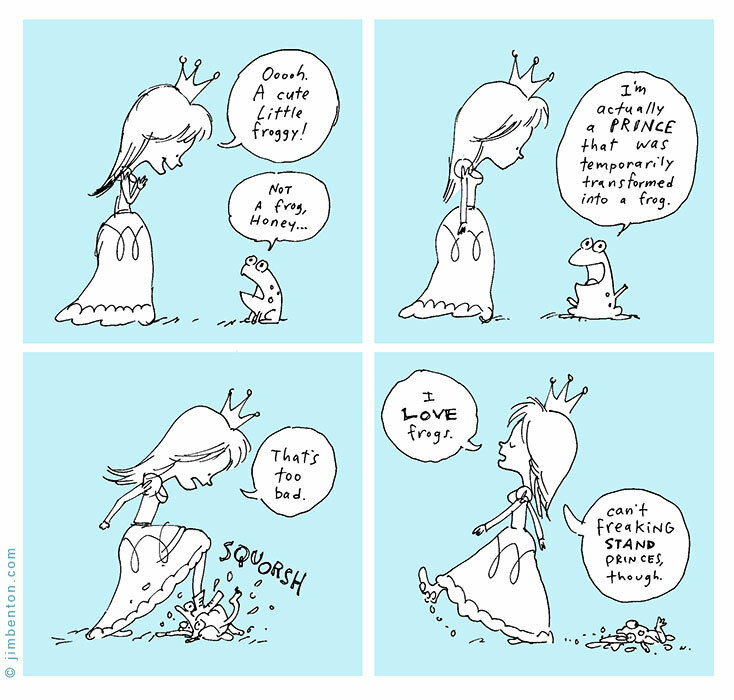 A hermit who tries to stop them curses the princess, changing her gender. The princess, however, is glad to finally be the man she wanted to be all along. The text reads “when the princess suddenly felt she was really the man she had pretended to be, she was delighted.” Obviously, they get married and live happily ever after. Although the story is pretty lengthy, I actually find it more engaging than many of the fairy tales I heard as a child. It certainly beats hearing about helpless heroines. Maybe, with more publicity and encouragement of tolerance, this tale can find its way back into bedtime stories.